Woohoo! It’s World Wide Vegan Bake Sale time again – the best time of the year! 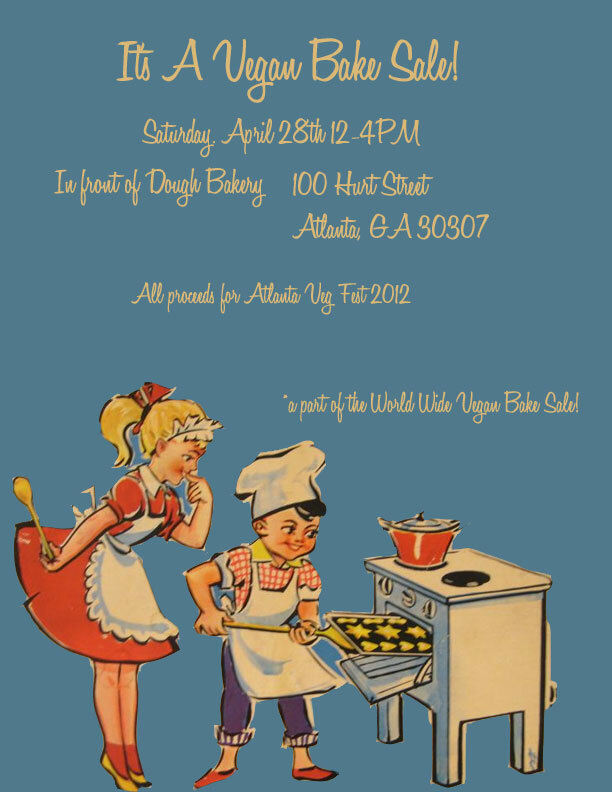 This year the Atlanta Vegan Bake Sale will be raising money to kick off the first Atlanta Veg Fest in November. It’s about dang time Atlanta had a veg fest, right? And you can help make it happen by making and donating baked goods, purchasing baked goods, or a little of each. This year we have a unique opportunity to reach tons of non-veg*ns. The bake sale will be held April 28th 12-4pm outside of Dough Bakery. Yes, that’s during the Inman Park Festival. Bakers are still needed. Just email Leigh if you’d like to bake (leighsaluzzi(at)yahoo.com). Get all the details here and spread the word!